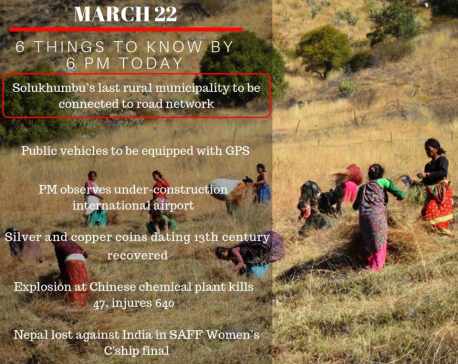 SOLUKHUMBU, March 22: After decades of isolation, the Khumbupasanglhyamu Rural Municipality will be connected to the national road network by this fiscal year. Of the eight RMs in Solukhumbu, this is the only one that is yet to be linked by road network, a task that the local body plans to conquer by this fiscal year. The road will go up to Khari rivulet, Lakpa Tshering Sherpa, spokesperson of the Khumbupasanglhyamu rural municipality said. “We won’t be exaggerating if we say the road has reached under the foothills of Mount Everest,” he added. At present, vehicles ply from Salleri, the district headquarters to Kumburi. The road’s construction costs will be shared by two municipalities -- Madhyadudhkoshi and Khumbupasanglhyamu. Buddhikiran Rai, chairperson of Madhyadudhkoshi RM said that they had signed an agreement to share construction costs of Rs. 3.9 million. The local bodies plan to construct 40 km road to Khumbupasanglhyamu-1, Buksa via ward-1 of Madhyadudhkoshi. “We will construct another 30 kilometres, up to Lukla next year,” spokesperson Sherpa added. 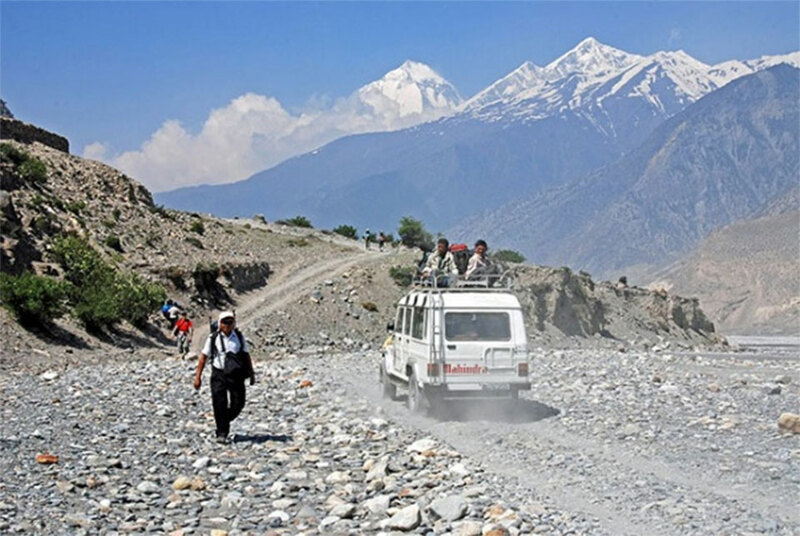 Tourism entrepreneurs, meanwhile, have suggested the local bodies not to stretch the road network beyond Lukla as it would be impossible to retain tourist attraction in the Khumbu region, Shiva Bahadur Basnet, operator of High-Speed Treks and Expedition Nepal Pvt Ltd said. They opine that roads would also mean that trekkers wouldn’t be able to acclimatize before their ascent, Yangda Sherpa, a former 'Icefall Doctor' and a tourism entrepreneur said. “It means that trekkers could suffer from various health complications,” he added.